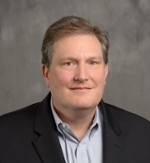 David S. Cochran is an Associate Professor of Systems Engineering and is the Director of the Indiana University Purdue University (IPFW) Center of Excellence in Systems Engineering in Fort Wayne, IN. He serves on the Board of Directors of the IIE Lean Division, the Orthoworx Advanced Manufacturing Council and is a member of the St. Francis Hospital Innovation Center. He earned a Ph.D. in Industrial and Systems Engineering from Auburn University and Masters of Industrial Engineering from the Pennsylvania State University . Prior to joining IPFW, Prof. Cochran established System Design, LLC and served as Adjunct Professor to Meijo University in the School of Business, Nagoya, Japan and the Southern Methodist University Systems Engineering program. He Developed the Production System Design Laboratory in the Department of Mechanical Engineering at the Massachusetts Institute of Technology and created an industry-based research program for Masters' and PhD students to do enterprise and manufacturing system design research and implementation with industrial sponsors (1995 - 2003). He is the two-time recipient of the Shingo Prize for Manufacturing Excellence for his research to advance enterprise design as an engineering discipline and was awarded the Norman Dudley Prize for Best Paper by the International Journal of Production Research in 2000.